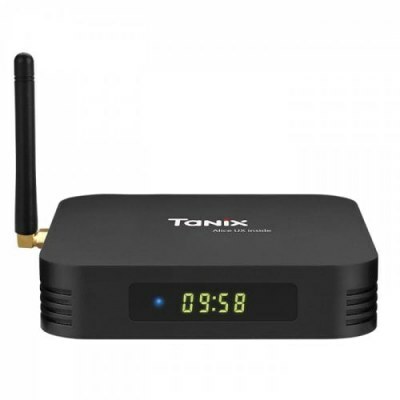 Hi, I have a new Tanix TX6-A TV box with the same processor as the Alwinner H6 and I am very satisfied with its performance and excellent image quality. At graphic level we have a Mali-T 720mp2 GPU with support for OpenGL ES 3.1, dedicated hardware Allwinner Phoenix 3.0 VE Engine for decoding that supports the codecs h.265 and VP9, for image processing has the Smartcolor 3.0 DE Engine that gives us 10bit color compatibility, supports the color modes HDR10 and HLG. This system of TX6-A allows us to get video up to UHD resolutions 4K and 60fps without problems thanks to its HDMI 2.0a video output but according to its specifications supports image up to 6K. A GPU in this SoC has two Shaders Core which gives it enough power to defend itself with powerful 3D games. It arrives with 2GB / 4GB of RAM and 32GB / 64GB of 128GB+ expandable ROM installing a micro SD. It brings WiFi powered ac WiFi 5 and 2×2 MIMO with external antenna, which will help us to improve coverage and power, Bluetooth 5 and 3 USB one 3.0. Tanix is one of the few brands that have web and are getting some firmware. This model is so innovative that in other pages is on pre-sale. a great flash offer that will last a few days or until stocks run out. It is a very good price for Tanix TX6-A now, purchased on the Gearbest, has 2 years warranty by it, but sent from China.